I was up in a town called Minneola, just northwest of Orlando. It was a small event and I was doing a demo on my HOTBOX. I had made small monotypes, about 4×4 on rice paper. I framed a few, and since it was Valentine’s Day I thought that I would just give out a free one to whomever stopped by my booth. A women asked if the framed art was for sell, and of course I said yes. 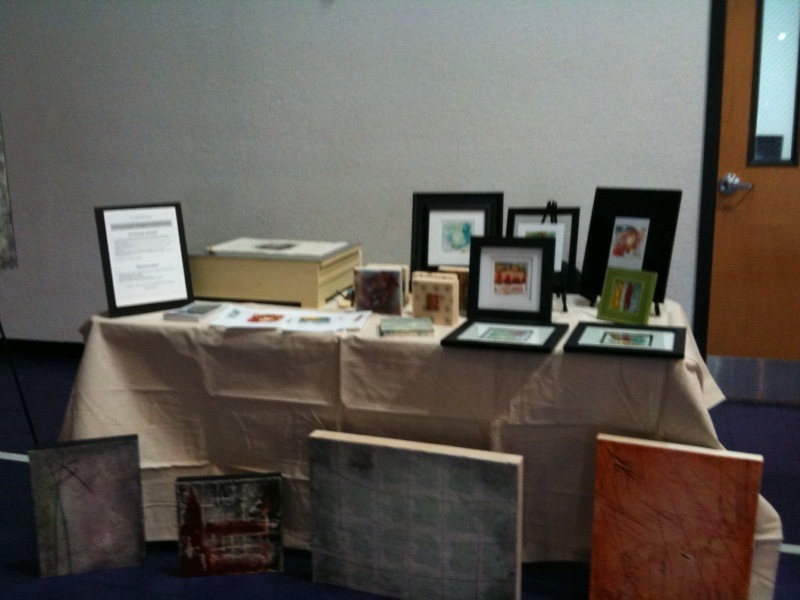 Here is my little table display at the fair.